The Kally Pillow is a full body support pillow that improves sleep quality for people who experience shoulder pain from sleeping. 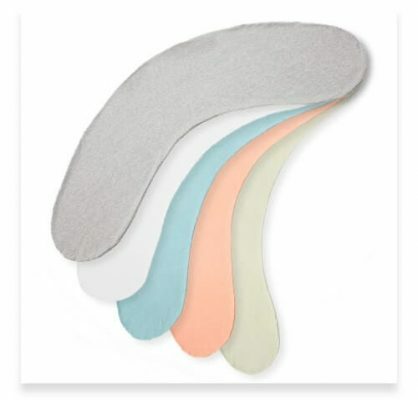 We designed it to cushion your body as you sleep to relieve shoulder pain and other types of discomfort. If you find that you wake up in the morning with sore shoulders, your sleeping position could be the cause. When you sleep in a position that’s uncomfortable and unsupportive, it can put strain on your neck and shoulders. You might wake up in the morning feeling unrested or with pain and stiffness across your shoulders. That’s why we developed the Kally Pillow – so people like you can sleep comfortably and feel great during waking hours too. We recognised that a lot of people weren’t achieving their optimum sleeping position to help align their spine and relieve pressure on their joints. 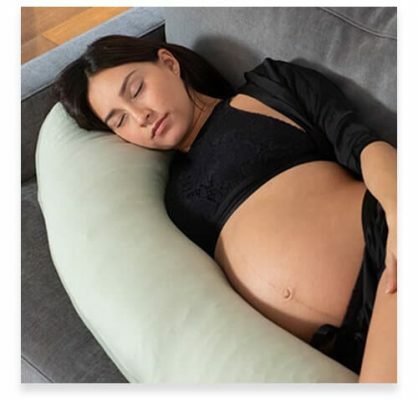 We designed the Kally Pillow for sleeping on your side, our recommended sleeping position for the perfect night’s sleep. Many of us experience pain and discomfort in our shoulders for one reason or another. In fact, up to two thirds of people could experience shoulder pain in their lifetime. The causes can be many and varied, from slouching at your desk to feeling stressed. But whatever you might do during the day to cause shoulder pain, you also need to pay attention to what you could be doing at night that exacerbates it. Sleeping in the wrong position or not having the right support for your body could result in shoulder and neck pain. Using the Kally shoulder support pillow, you can position your pillow in the right place to sleep super comfortably on your side. Our full body pillow supports your head and neck, as well as your upper body, helping to make you feel weightless. You can sleep in this healthy sleeping position without the worry of shoulder pain when you wake up. And, because of the long shape of the Kally Pillow, it’s easy to switch which side you sleep on. If your shoulder is sore for any reason, the pillow can cushion it and hold it in a comfortable position. Some experts recommend using a number of pillows when you sleep on your side – one between your knees, one in front of your stomach and one for your head. But with a full body pillow, there’s no need to fuss about with a whole pile of pillows. One supportive pillow that relieves pressure at all key points and helps you to keep a healthy sleeping posture is all that you need. Shoulder pain at night or shoulder pain after sleeping can have a few different causes. You might experience pain and discomfort from feeling stressed and tense. Using the wrong pillow can also cause shoulder pain, as well as neck pain. While there are other causes of shoulder pain, these are likely to be issues that you experience throughout the day too, rather than being more noticeable at night and in the morning. Using a Kally shoulder support pillow gives your body all of the support it needs at night. The hollowfibre filling shapes itself to fit you, no matter what size or shape you are. When you sleep on your side with a Kally Pillow, you can be sure that your shoulders and other joints are supported throughout the night. By keeping your head, neck and spine aligned with your shoulders, you avoid the pain and discomfort that can radiate through your neck and shoulders due to strain on your muscles and tendons. There’s no need to keep suffering with shoulder pain at night and when you wake up. 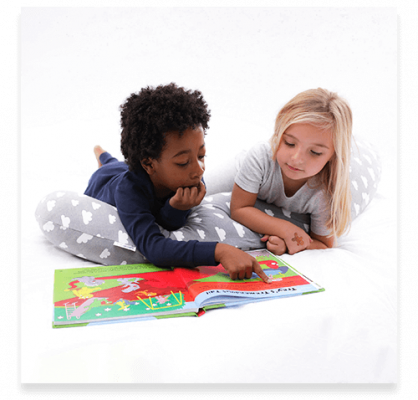 We created the Kally Pillow just for you, to help you get a peaceful night’s sleep. We have worked with leading experts to develop an ergonomic pillow that meets the needs of people with shoulder pain and various other problems caused or worsened by poor sleep posture. 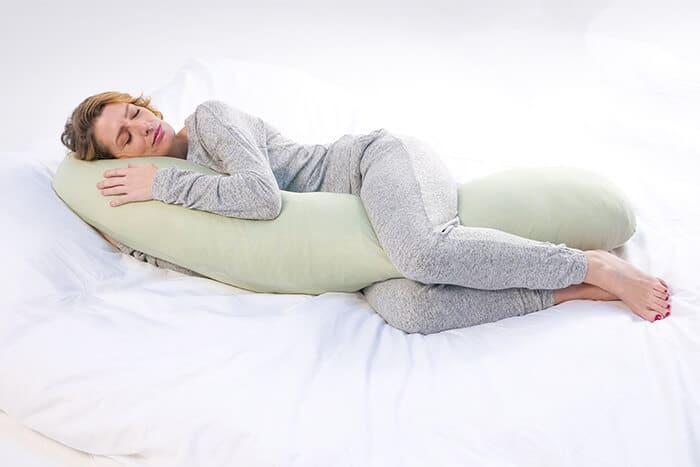 The Kally Pillow can transform the way you sleep and improve your quality of life. Order a Kally Pillow, and you can try it out for two weeks to see how it can change your sleep. You’ll soon feel like a weight has been lifted from your shoulders.